I was born and brought up in Meerut. But to be really honest, I don’t think I ever lived as a part of Meerut, I never tried to connect with my city, never tried to learn of its history or be a part of its future. I feel that this apathy that many like me live with is also one of the reasons that the place deteriorates and its stories are lost unheard. I now have decided to slowly begin to listen to those stories, to document them. For what, you ask. Well, for nostalgia a bit, but more so for reclaiming the space, reclaiming my role in its larger narrative and for others who have lived as disconnected and sans sense of belonging as I did. I begin with nostalgia though. We used to go to study in a tuition centre called Auora Classes. Vinod Sir is one of the most interesting and passionate Physics teachers you would ever come across. Now this centre was in a locality known as the Bakri Mohalla, and the one question I guess each one of us must have joked about, is , Yeh bakriyan buffalos kaise ban gayin? So the place was a hub for buffalos and scooties belonging to students. What I wonder now is why did we never try to find out what got this place its name? So thats my next agenda. 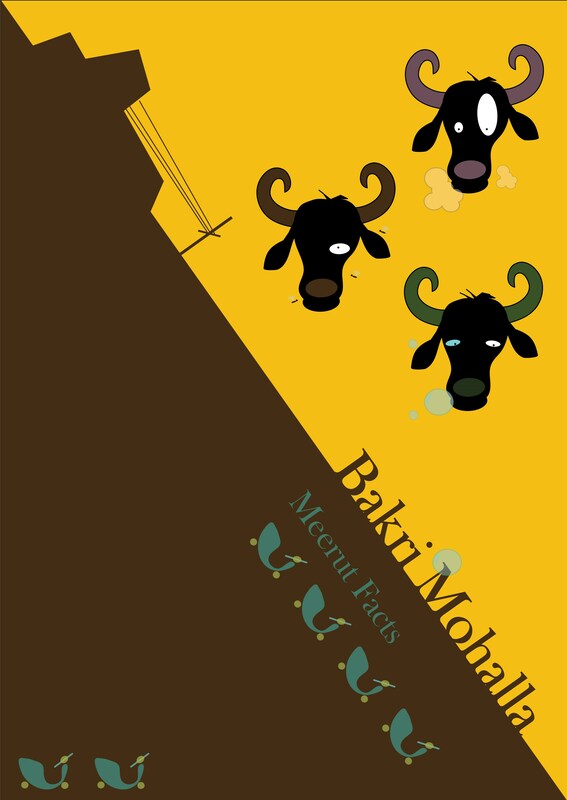 In the meantime enjoy this quick piece made in the honour of Bakri Mohalla!